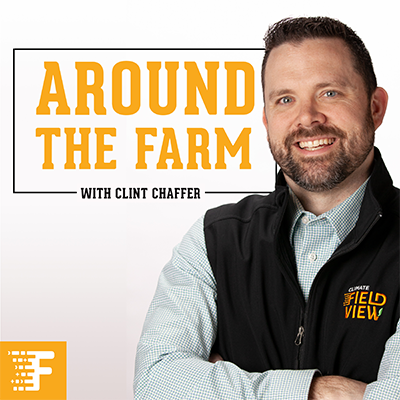 A farmer and digital farming expert, Clint Chaffer brings first-hand knowledge and high-energy personality to interviews with industry thought leaders on topics farmers are thinking about. Listen in as Clint talks all things ag, and join in the fun along the way. Coming out of a wet fall and harvest season, Bryan discusses what these conditions might mean as spring approaches. He talks tillage implications, seed selection adjustments and other timely planting topics. He also takes a look at how the wet weather affected his soil sampling customers (and his own business), and shares his perspective on soil conditions in his area and how farmers may need to adjust their input strategies. It’s almost time to put seeds in the ground, but have you ever thought about all that goes into getting seeds where they need to go? Tanner, a former seed dealer, discusses what happens as the seed makes its way to your planter – from storage and seed treatments to distribution. And don’t miss his tales of what happens when things don’t go as planned. He also shares his take on why gathering data at planting is key for the rest of the season. A self-confessed technology aficionado, Rick talks about how digital farming is changing the game for farmers when it comes to seed selection and variable rate prescriptions. He explains how farmers and their dealers can work together to write seed prescriptions in minutes instead of days or weeks. Rick also shares updates from the recent pre-commercial field trials of Seed Advisor from FieldView™ - a new technology to improve the effectiveness of seed placement. As farmers head into the fields for planting, there are always last-minute adjustments to be made, and that often includes their tractors and planters. Scott Chizmar talks about what he does to help make sure farm implements are running their best, what farmers should do with their planters after planting season, and also takes a look at prepping sprayers and other equipment post emergence for growing season and beyond.